Free consulting and advisory service. WHY EMS SHARE MARKET CLASSES? 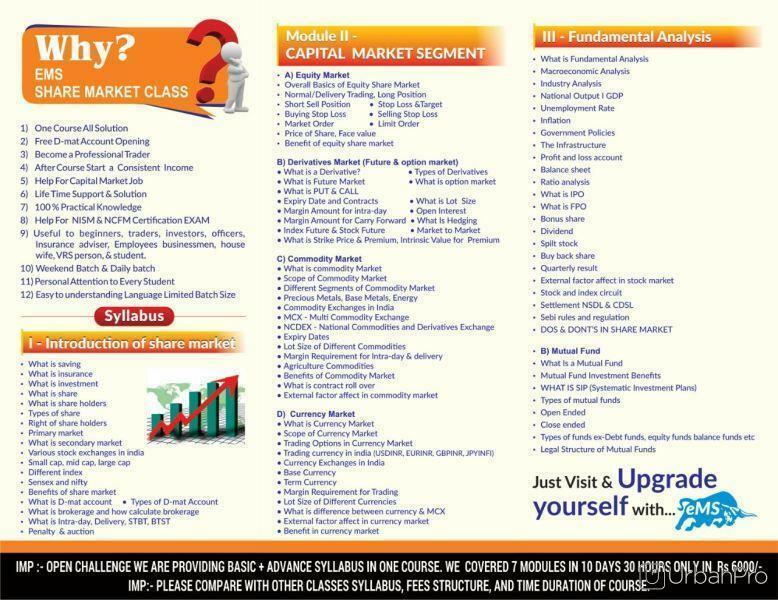 "Best share market classes in Pune, best option for beginners. I will strongly recommended for beginners who wants to make career in share market. " "Easy language so sir cleared each every doubt the best thing is that every doubt cleared with the help of day today life example so any complicated concept easy to understand. Thank you Mr. Pranav Sir. " "The course is Good for beginners and also for those who want learn technicals. Faculty support is excellent. " "One of the best class in Pune for entering into the world of share market. Friendly atmosphere, cooperative faculty, easy to understand language and overall excellent experience. " 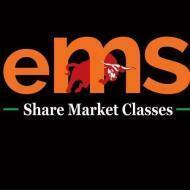 eMS Share Market Classes conducts classes in Stock Market Investing and Stock Market Trading. It is located in Shivajinagar, Pune. It takes Regular Classes- at the Institute. It has got 4 reviews till now with 100% positive feedback.